The patch notes are now available. Another major update for Call of Duty: Black Ops 4 is now live on PlayStation 4. Black Ops 4 update version 1.16 is available for download—it’s an 11.801 GB file on PS4. Treyarch finally released the patch notes for this update at 2:30pm CT. The newest Zombies map, Ancient Evil, is available on PS4 with the launch of this patch. A new perk called Zombshell is also now on PS4—it “grants a chance for basic zombies to explode when killed, leaving behind a contamination field that slows enemies and increases damage dealt to them.” Five Elixirs and two Talismans were added to Zombies on PS4, too. For multiplayer, the Barebones game mode has been added as the Featured Playlist on PS4. It has more-traditional Call of Duty gameplay features, such as no Specialists and six-vs-six games. 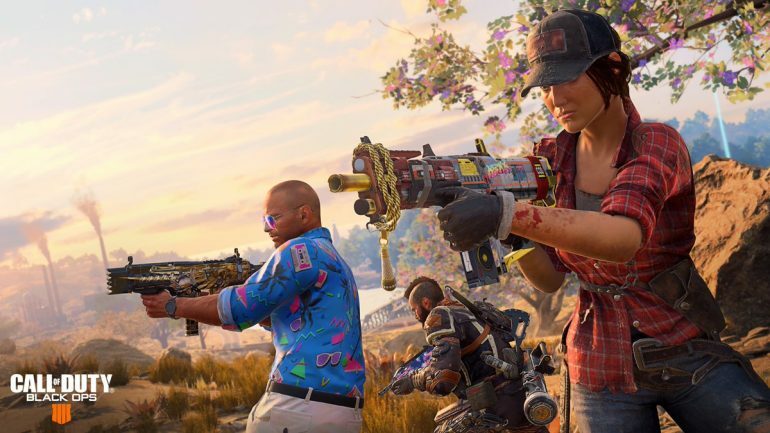 Some weapon tuning was also implemented for several guns, including the Saug 9mm, KN-94, and Paladin HB50—the sniper’s default magazine now holds six bullets instead of five. You can read the patch notes in full on the Call of Duty: Black Ops 4 subreddit.